A Ballerina, a Nutcracker and a Terrifying Rat King are central characters in a story that's about 100 years old, so you can imagine how many times it's been told and reinterpreted. But none have done it so magnificently as Atlanta Ballet, which has performed what has now been an Atlanta holiday tradition for 20 years at the Fox Theatre. 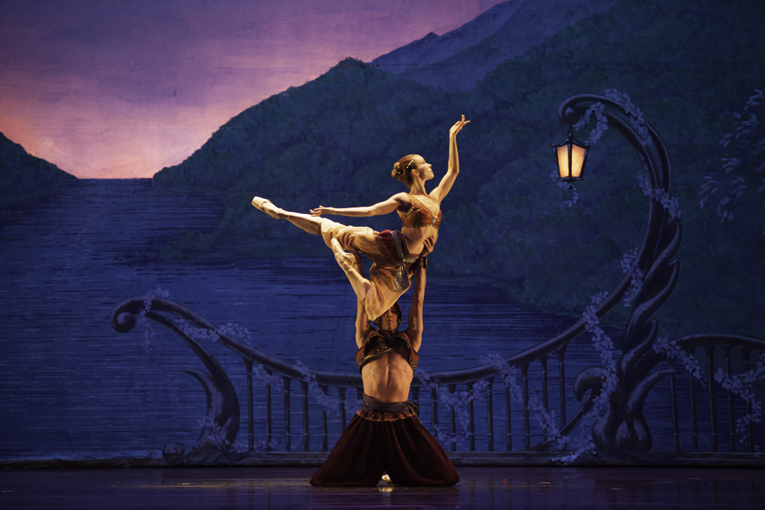 If you think you've seen Atlanta Ballet's Nutcracker before, think again! 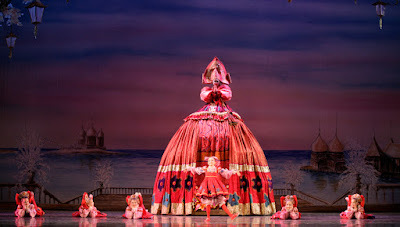 This year's performance, its 20th season at the Fox, is even more magical, more entertaining and wrapped with an enormous, tight glittery bow...it's the Faberge of any Nutcracker performance I've ever seen! I probably never told you about my obsession with nutcrackers. I started collecting nutcrackers—had always been fascinated with them—when I lived in Washington, DC. In a mere three years my collection topped off at 65 nutcrackers! My sharing that is not to chronicle an obsession, but to note that my intrigue with "Nutcracker" is genuine. When I moved back to Atlanta, I gifted that collection to a friend who I know has used quite a number of them during holiday seasons since. 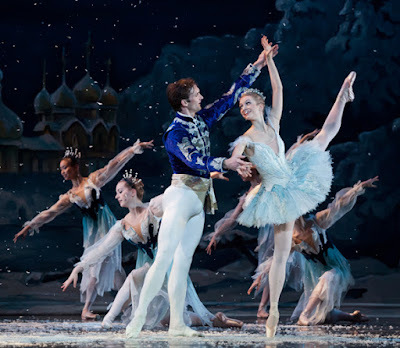 I've enjoyed various renditions of Nutcracker over the years, but it had not stuck with me that the story takes place in St. Petersburg, Russia. On the other hand, it's difficult to not pick up that it takes place on Christmas Eve. Another holiday tradition also dating back more than 100 years were Fabergé's Imperial Eggs—lavish Easter eggs created by Peter Carl Fabergé for the Russian Imperial family—which were also fashioned in St. Petersburg. Atlanta Ballet's Nutcracker, in my mind, is just as intricately detailed and visually spectacular as the works of Fabergé. John McFall joined Atlanta Ballet in 1994 as only its third Artistic Director. His retirement from the organization in June 2016 had been previously announced. While Atlanta Ballet has performed some version of Nutcracker since 1959, Opening Night of "Atlanta Ballet's Nutcracker" on December 11, 2015, marked the 20th anniversary of what has become one of Atlanta's more beloved traditions, one created by McFarland. Immediately prior to the Opening Night performance, McFall was presented a Phoenix Award, the highest honor bestowed by Atlanta Mayor Kasim Reed, recognizing McFall's outstanding leadership and contributions to Atlanta. It was heart-touching to see Atlanta recognize Mr. McFall in this manner...so well-deserved. Always an audience favorite, Mother Matrushka’s gown is made of 25 yards of red jacquard. 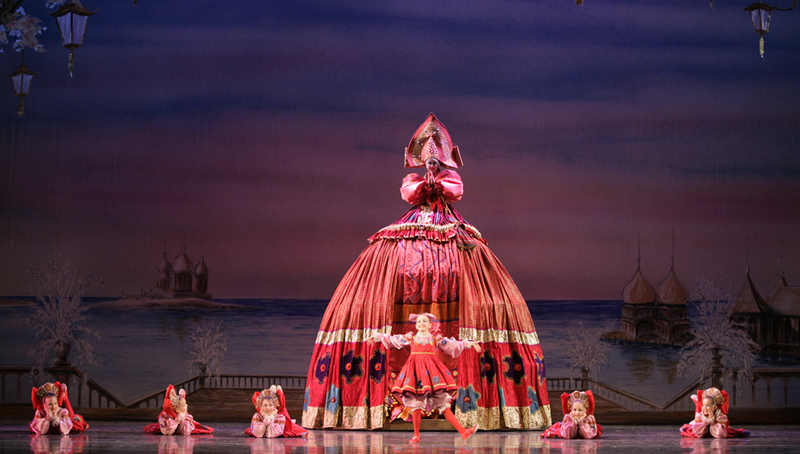 The dancer who wears the 75-pound costume stands on a platform 15-feet tall...and, surprise-surprise, Mother Matrushka is always played by a man. Arrive early enough to make a photo with a larger-than-life Nutcracker—on the balcony level—or make time during the 25-minute intermission. If you drive, I highly recommend pre-purchasing your parking and remember that traffic is always heavier during the holidays...so, make plenty of time to get to theatre and relax into the show. I was impressed to see Alan Vella, President & CEO, Fox Theatre, there on Opening Night. This Atlantan is grateful to see our attractions—whether attended by faithful fans or visiting tourists—supported by their executives. It speaks volumes when I see that they're as invested as those spending their time and money to support the arts and the local economy. "Thank you, Mr. Vella!" for being at the ballet! Preparation for Nutcracker begins in early August and goes through November to ensure every detail is in place for opening night in early December, including the transport of all the lighting, scenery and costumes from the Ballet's West Midtown campus. And Atlanta Ballet's Nutcracker is the only version in the metro area performed with a live orchestra and choir! Atlanta Ballet premiered George Balanchine's Nutcracker—second act only—in April of 1959, not December, making it one of the first companies in the U.S. to perform what would soon thereafter become a holiday classic. The full-length version of Nutcracker was first performed by Atlanta Ballet in 1962. Atlanta Ballet’s third and current artistic director John McFall recreated Nutcracker in 1995. 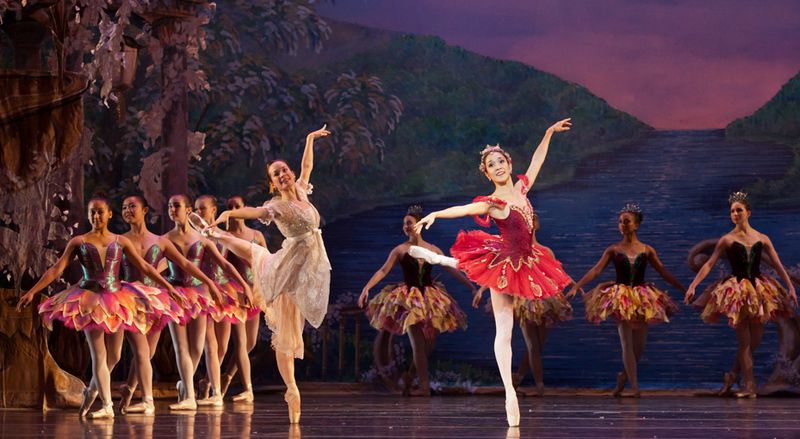 Over the past 20 years, since McFall created "Atlanta Ballet’s Nutcracker", more than 3,000 metro Atlanta children have performed in the production, which was created especially for the city of Atlanta. 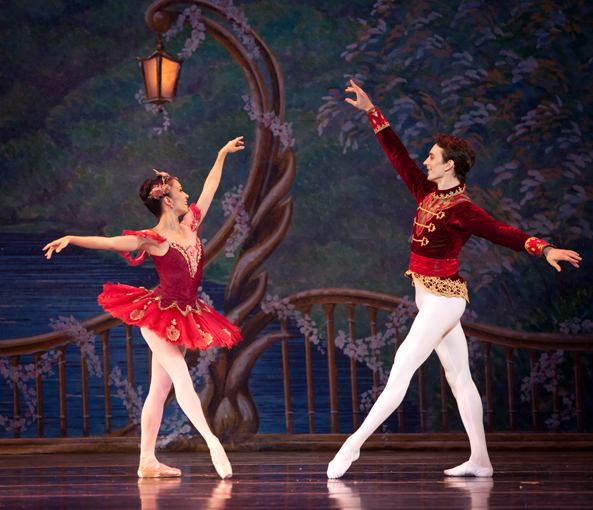 Nutcracker, at the Fox Theatre through Sunday, December 27, is the opening show of Atlanta Ballet's 2015-2016 season, which has some other fantastic shows coming up! In particular, I'm personally looking forward to "Moulin Rouge: The Ballet", as well a couple of world premieres! ELF The Musical is Magical!